I had made some brownies the other day and my 6 year old suggested we make something fun with them! We had some bunny Peeps so we came up with this Peeps Bunny Brownie Patch! We had so much fun decorating this with candy we had on hand and this is so easy to make! A great edible Easter craft that the kids can make themselves! We started out by baking our brownies in a 9 x13 pan according to the package directions. You can line the pan with parchment paper if you want to transfer on a platter. We frosted the top with chocolate frosting. We used orange jelly beans to look like carrots. We cut pieces off of the green sour straws to make the carrot stem. We attached with orange cookie frosting. We also cut the green sour straws in half and then cut them into little pieces to make lettuce. We cut mini marshmallows in half for bunny tails. We cut off the bunny ears on the peeps to look like feet for the bunnies diving into the dirt. We cut off the corners of the brownie to shape it to our plate. We were going to crumble those up to look like dirt, but my 6 year old wanted thought it looked better this way. He’s the boss in the kitchen! :) We made a sign and attached it to a couple of decorative straws. 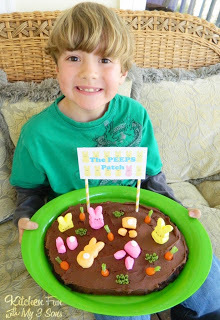 Here is my 6 year old with his Peeps Brownie Patch creation…. You can check out all of our other Easter fun food creations HERE! 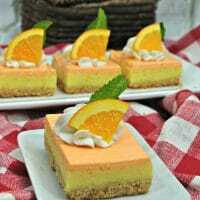 Next Post » Kitchen Fun and Crafty Friday link party #58!! Give the Gift of Lunch! Ha! Love the little bottoms sticking up! So cute! 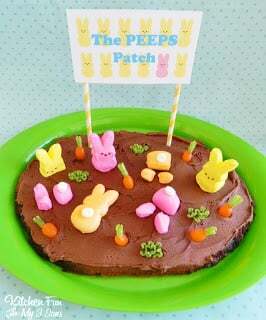 The kids will love making and eating the brownie patch! I like the sweet banner. This is the cutest thing! My little girl would love to do this! Your creativity b-lows me away!! 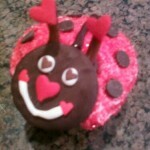 My daughter is 10x more likely to eat something if she thinks it cute, and she would LOVE this. Your creativity blows me away! My daughter is 10x more likely to eat something if she thinks its cute. She would LOVE this. Ok, that is absolutely adorable! Those poor little bunnies have to dig thru chocolate in order to find carrots … too cute!!! I love that!! 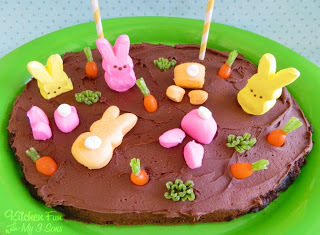 What a cute thing to make for Easter celebrations, too! That is adorable and so creative! haha Oh my gosh cute! So creative! So adorable! Your son sure looks pleased by the creation! 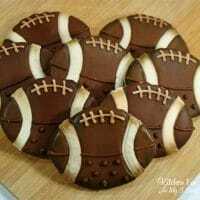 This is too adorable!!! So cute!